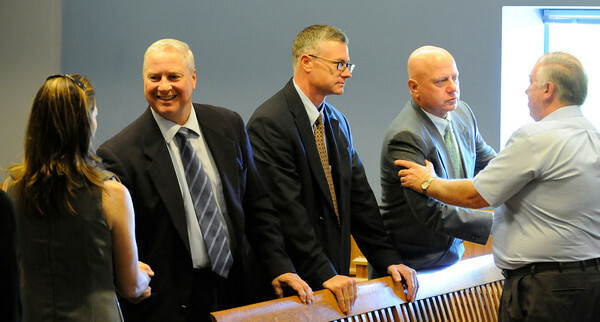 The detectives who helped solve the decades old murder in Gloucester is thanked by members of the victims family after the sentencing in Lawrence Superior Court. They are, from left, Steven Mizzoni of the Gloucester Police. State Police detective Josh Ulrich and former Gloucester Poilce Det. Michael Lane.